I can't help but notice your mana base decisions too. No Shivan Reef ? 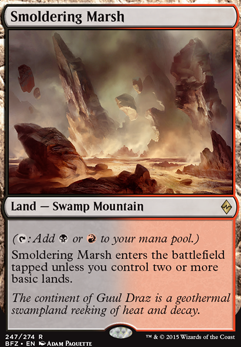 You also play all 3 buddy lands as well as Smoldering Marsh , Sunken Hollow ...I run 8 basics and sometimes feel like it's not worth it to run the buddy lands ..hmm..
Not that many fetch lands, 2 I think I counted? But I do like the addition of the filter land. Hey, consider adding a reanimation strategy as an alternative way to get Demons onto the battlefield? Buried Alive , Faithless Looting and Gamble are upgrades for enablers to get Demons into your graveyard. Buried gives you complete control over what Demons you search for and put into your graveyard. Looting can be used two times because of flashback. 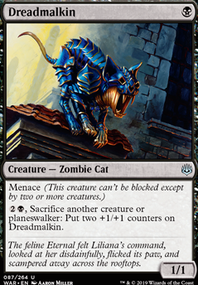 Animate Dead , Dance of the Dead and Victimize are low mana cost cards to reanimate a Demon. This package of six cards can do a lot for your deck. Consider Hammer of Purphoros , Urabrask the Hidden and Anger ? Most Demons don't have haste which means that they can't attack or really do much the turn you play them. Anger is good with Buried or Looting to put it into your graveyard. 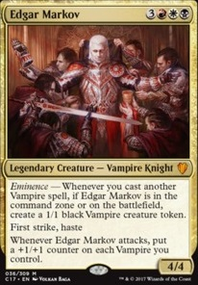 Consider Rakdos Signet and Talisman of Indulgence ? More two drop mana rocks. Consider Chaos Warp ? 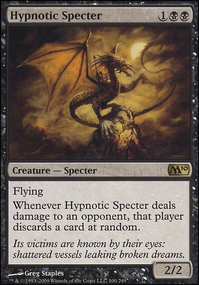 It's a staple instant removal spell in Commander. For the manabase here's some budget lands ($3 or less each) to consider: Command Tower , Foreboding Ruins , Smoldering Marsh , Ash Barrens , Grixis Panorama , Jund Panorama , Shadowblood Ridge , Tainted Peak and Graven Cairns . All these lands can ETB (enter the battlefield) untapped. Hey, Sage of Fables works well with Marchesa, Viscera, Haruspex, Disciple of Bolas , Puppeteer Clique , Sower of Temptation , etc. It also can be a draw engine by removing +1/+1 counters from your creatures. To help the less than ideal manabase consider Trophy Mage just to tutor for Chromatic Lantern ? Or she can get Ashnod's. 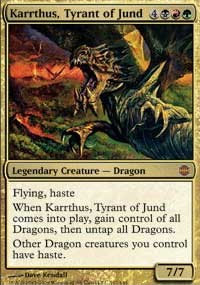 Consider Brainstorm , Ponder , Impulse , Read the Bones to help to find lands or other cards? 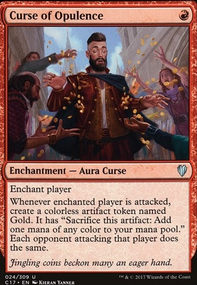 Another way to help the manabase is with more mana rocks Rakdos Signet , Izzet Signet , Dimir Signet , Fellwar Stone . Lands that won't break the bank to consider adding: Exotic Orchard , Choked Estuary , Foreboding Ruins , Grixis Panorama , Ash Barrens , Dimir Aqueduct , Rakdos Carnarium , Izzet Boilerworks , Reliquary Tower , Smoldering Marsh , Sunken Hollow , Shivan Reef . Most of these lands have good interaction with basic lands since there's a lot of them here and I suggest adding more in place of the lands that ETB (enter the battlefield) tapped such as Urborg Volcano . The Bounce lands (Aqueduct, Carnarium, Boilerworks) work well with basic lands and other lands that can ETB untapped. You might consider replacing Vivid Meadow , Vivid Creek , Vivid Marsh , Vivid Crag and Vivid Grove for the still-cheap Prairie Stream , Sunken Hollow , Smoldering Marsh , Cinder Glade , Canopy Vista . This way, a Farseek can get you two colors! 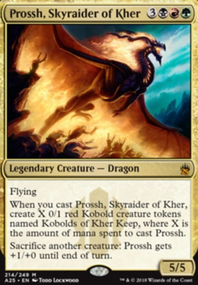 If you include Murmuring Bosk and Krosan Verge , the latter can be activated on turn 3 to fetch Murmuring Bosk and Cinder Glade , guaranteeing you 4 colors for a turn-4 Scion of the Ur-Dragon . Hey, nice start for a budget upgrade of the precon. With Jeleva you don't have to go completely over the top with all splashy high mana cost spells, some is good. You can benefit from Jeleva by simply getting card advantage when she attacks from a low mana cost spell you exiled with her especially a draw spell such as Brainstorm or a tutor such as Gamble . Lots of creatures goes against Jeleva's ability. If you have a lot of creatures then it makes it more difficult for you to hit an instant/sorcery to exile. 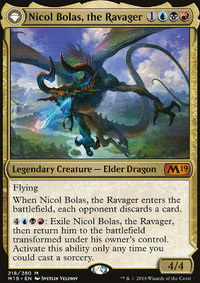 You want to benefit from Jeleva's ETB ability too, not just exile your opponents spells. If you like these suggestions then I offer more help. Good luck with your deck.